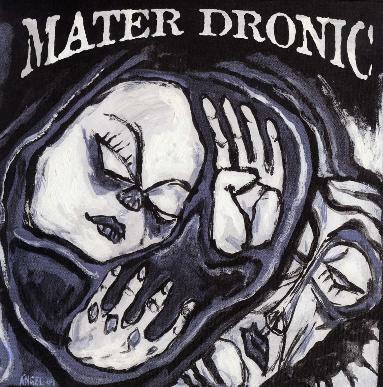 Mater Dronic - "Mundo Espectro"
It is always cool when a band contacts you and asks if you want to review their CD and it turns out to have some mind blowing stuff on it. All the tracks here are sung in Spanish and you get plenty of psychedelic rock with delay guitar. The CD opens with the ten minute long track, ângeles de opio, which takes a while to take off and is a bit repetitive but is worth it as the end gets very psyched out. De todo y nada y mientras is next and a very Hendrix inspired track. Mâscaras de cielo is a beautiful acoustic guitar number and is quite dreamy. Sin Fin follows takes us off on a 19 minute trip. Wow... this is a heavy duty song, so sit back. It begins very slowly and then we get the Spanish guitar interlude before the fuzzed out psychic storm kicks in and blows your mind. Amor Glacial is another dreamy spaced out track. Como Extraño is nearly 10 minutes and is another psychic journey with some great psychedelic jamming guitar. Fuera del Tiempo is quite spacey yet in your face with the intensity of the guitar. This leads into the 20 minute Sanctus Mantra that ends this CD and is a real guitar track with dual layers of guitar soloing. This ends about 8 minutes or so and the track gets slow and spacey and almost fades out completely before building up once again and instead of more guitar solos we get spaced out synths sounds, before the track comes back to the way it started. Brilliant! For more information you can visit the Discos Necesarios web site at: http://www.discosnecesarios.com.